Mead and Pokemon. It's a combination that goes back to... last Thursday. However, we're confident that it's a new marriage you will enjoy! 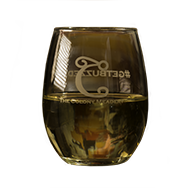 Join us this weekend at The Blueberry Festival at the Burnside Plantation and at our Colony Meadery at the Book Shop on Main Street, both in Bethlehem, as we invite you to taste mead while chasing some pocket monsters. The Blueberry Festival is one of our favorite Bethlehem events. Visit our booth to try out some refreshing mead. Saturday, July 16: 10 a.m. - 7 p.m.
Sunday, July 17: 10 a.m. - 6 p.m.
Join us at Burnside Plantation for the Annual Blueberry Festival. At this two-day family fun event, guests will have the opportunity to indulge in all things blueberry such as blueberry pie, ice cream, beer, wine, mead and more! To further entice you, we'll be dropping lures throughout the early afternoon hours first at The Blueberry Festival when it opens at 10 a.m. on Saturday and then in the early afternoon at The Colony Meadery at the Book Shop. The Colony Meadery at the Book Shop is located within the Moravian Book Shop at 428 Main Street. The weather looks pretty fantastic so far, so, please, come join us at both locations and have some fun!